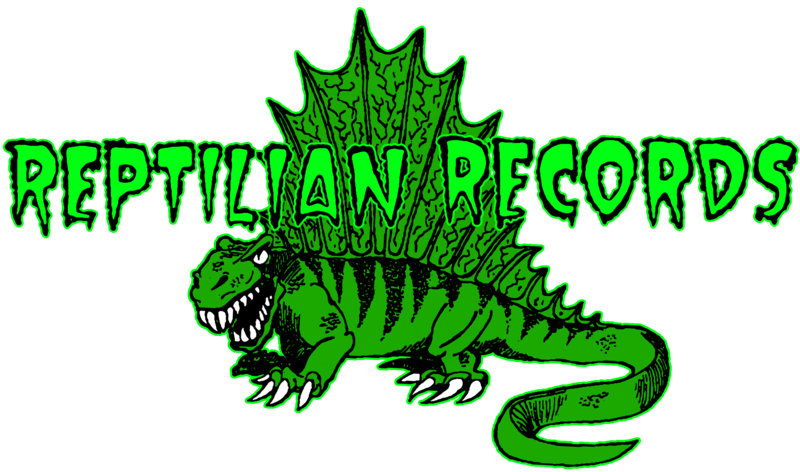 Reptilian Records - BUZZOV*EN - USELESS 7"
Drugs. Low-rent living. Thousands of miles logged in battered vans, engine and transmission held together thru the peculiar luck of the damned and the hopeless. Dirty needles. Alcohol abuse. Endless touring. City after city. Ruined hearing. Decimated clubs. Thrashed PAs. Broken noses, broken bottles. Band members disappearing. Failure to appear in court. Jailtime. Parole violations. Countless rip-offs. Cracked-tooth brawls. Southern sludge. Carolina whiskey-core. Intense hatred and the will to self-destruction. The Buzzov-en story is a legend: a band whose existence has thus far spanned almost a decade, a band who has escaped the devil's death and survived to tell the tale, time and time again to the disbelief of just about everyone who knows. After a few year period of inactivity and immense controversy, this recording, the first since Roadrunner released Sore in 1994, once again set the wheels in motion for one of the most confrontational and ferocious live bands in America. Their notoriety precedes them. With these two songs, Buzzov-en once again demonstrates why their particular brand of overamped, distorted southern boogie is truly exceptional. It's a two song attack against moderation. Black Flag on a very mean day. Black Sabbath rewired with damaged circuitry and a penchant for crystal meth. Low-end like a rumbling freight train, laryngitis used as an instrument. True heavy-weights.